As every person is affected with the implications of GST and E-Way bill, Special economic zones (SEZ) too are covered under its wings. 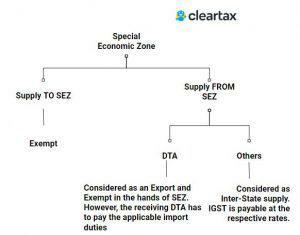 A special economic zone (SEZ) is a dedicated zone wherein businesses enjoy simpler tax and easier legal compliances. SEZs are located within a country’s national borders. However, they are treated as a foreign territory for tax purposes. This is why the supply from and to special economic zones have a little different treatment than the regular supplies. In simple words, even when SEZs are located in the same country, they are considered to be located in a foreign territory. SEZs are not considered as a part of India. 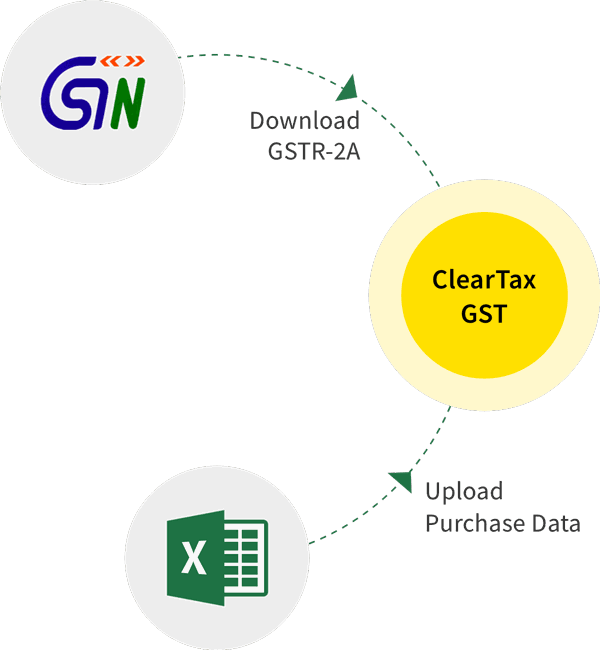 Based of this it can be clearly said that under GST, any supply to or by a Special Economic Zone developer or Special Economic Zone unit is considered to be an Inter state supply and Integrated Goods and Service tax (IGST) will be applicable. SEZ’s are considered to be located in a foreign territory and thus the transactions with SEZ’s can be classified as Exports and Imports. Supply of goods or services from one unit/developer in the SEZ to another unit in the same SEZ or another SEZ. Receiving goods or services from one unit/developer in the SEZ by another unit/developer located in the same SEZ or another SEZ. Being in a SEZ can be advantageous to a certain extent when it comes to taxes. Any supply of goods or services or both to a Special Economic Zone developer/unit will be considered to be a zero-rated supply. That means these supplies attract Zero tax rate under GST. In other words, supplies into SEZ are exempt from GST and are considered as exports. Supply on payment of IGST and claim refund of taxes paid. When a SEZ supplies goods or services or both to any one, it will be considered to be a regular inter-state supply and will attract IGST. The exception to this is, when a SEZ supplies goods or services or both to a Domestic Tariff Area (DTA), this will be considered as an export to DTA (Which is exempt for the SEZ) and customs duties and other Import duties will be payable by the person receiving these supplies in DTA. Under GST, transporters should carry an E-Way Bill when moving goods from one place to another if the value of these goods are more than Rs. 50,000. SEZ supplies are treated how the other inter-state supplies are treated. The SEZ units or developers will have to follow the same EWB procedures as the others in the same industry follow. In case of supplies from SEZ to a DTA or any other place, the registered person who facilitates the movement of goods shall be responsible for the generation of e-Way bill. A is the recipient of goods manufactured by the SEZ and is located in Bangalore. The value of the goods being transported this time is Rs. 75000. How is GST applicable in this case? As stated earlier, the movement from an SEZ is considered to be an interstate movement. 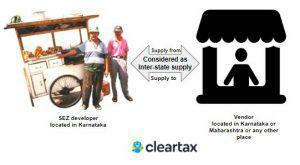 In this case, the goods have moved out of the SEZ, though it is moved within the same state of Karnataka, it will be considered as an Inter-state supply and IGST will be applicable on this supply. Is EWB required to be generated? If yes, who is supposed to generate it? Since the movement of goods from and to SEZ is considered as inter-state supply of goods and the value of this supply is more than Rs. 50,000, EWB will have to be generated. XYZ is required to generate an EWB. The transporter may choose to generate the EWB if XYZ does not generate it. Further, it is important to note that, if XYZ is an unregistered dealer under GST, and ‘A’ is a registered dealer, ‘A’ will have to generate the EWB. To know more about how a SEZ unit or developer should generate E-Way bill, click here.